The car's as beat as the place it's parked in front of. The hood #'s are intrigueing. Military? I get a foreign feeling from that building. I would agree.....looks like Europe, WWI. Probably a British or French Military rig I would say.. Similar to the lite car patrol Ts used by the Australian military. U.S. Ordinance also used similar. Left front tire looks as thought it probably didn't go much farther after that picture was taken! Not sure if that is a cut in the sidewall or some kind of a patch,....??? Somewhere in WWI would be my guess also. And since it is NOT a RHD Model T, I think it is NOT British standard use, but one of the other Allies. Yes, the British would have used a LHD Model T if they found one � but it would probably have become parts for their own RHD cars. Note it has the combination light and horn button indicating 1918 or later. 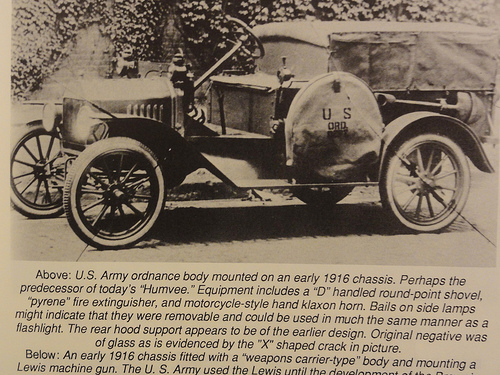 I believe it also has the above the axle wishbone so 1919 or earlier. So it might be a 1 year old car -- but one that had a hard life. Note the non-skid tire on the right front as well as the "new" right front fender. It might also be US forces as they were in the war by the summer of 1918 and US individuals served with other nations before the US entered the war. Hopefully a military buff will chime in with what type of uniform etc. My limited knowledge provides the guess that they are pilots or observers. Rationale, it looks like a pilot�s slip on overalls used to keep them warm at altitude and the goggles. we have common WWI flying suite. 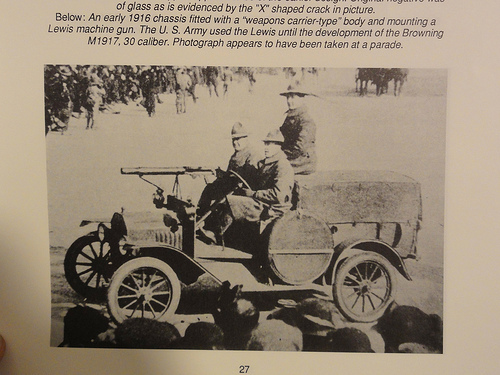 Notice the similarities to what the two individuals in the Model T are wearing. i would say france, italy or naples. 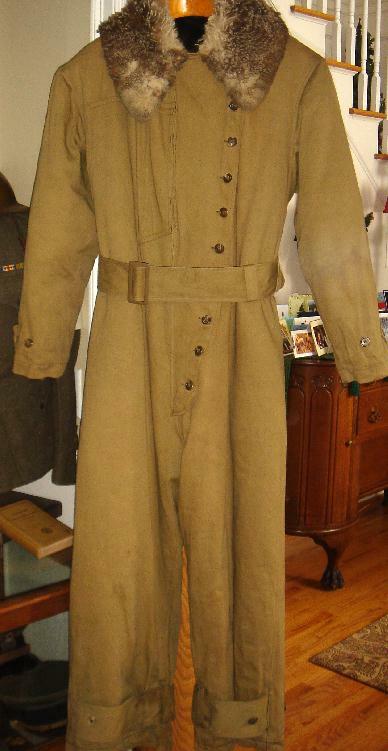 Gus Bringleson has quite a collection of WWI uniforms from the different allies, maybe he will see the post soon and comment. Very interesting photos, the first one really does not have enough detail to give a definitive answer, Hap has posted a photo of the type of coveralls being worn. 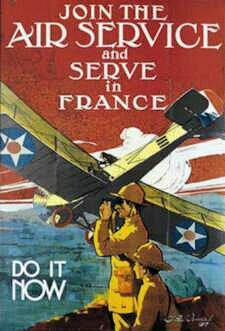 Aviation was in the signals branch of the US Army and was connected to the branches that utilized motor vehicles due to the common technology. The hood number is a US Army number, and with a little of searching, I think we could discover the branch that it was connected to. 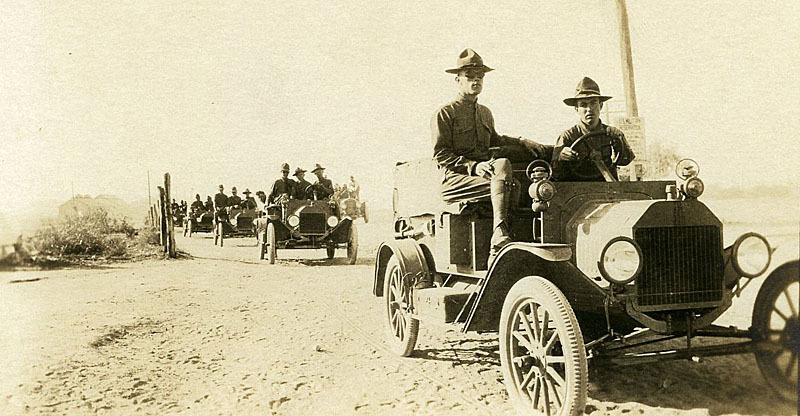 The photos posted by Erich were taken in the US, possibly during the Punitive Expedition into Mexico in 1916. NON SKID Firestones in front, something else in back. 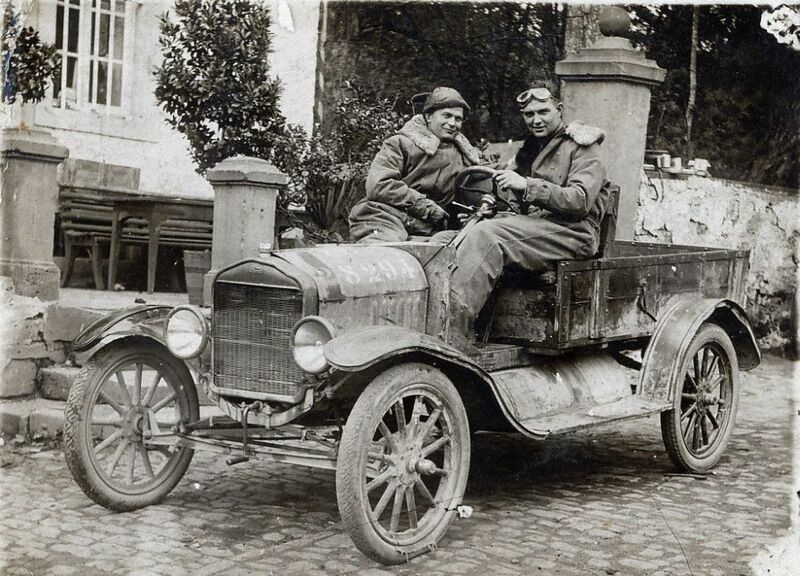 I'm happy that I do not need to restore the car in the picture......it would be call Rootlieb to start with. Thanks Jay, for all the great pictures that you post. Eric's photos are the real "Charge of the Model T's."